Aurion capsules are compromised of 50 – 100mg of CBD oil in each cap. 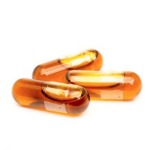 Capsules are a great option for those who do not want to smoke or have dietary restrictions. 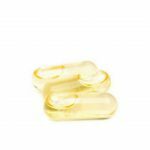 Oil capsules differ from plant capsules in which they do not take as long to absorb, metabolize and digest, and therefore stays in the system for a prolonged period of time. Each order includes one capsule.